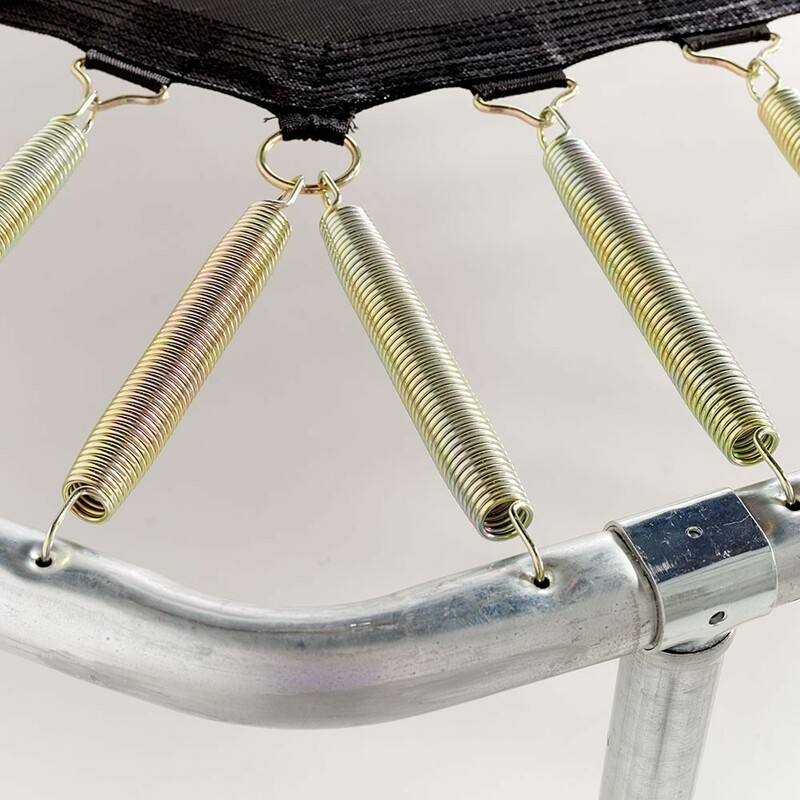 Prolonged use of a trampoline may result in worn-out parts that need replacing. 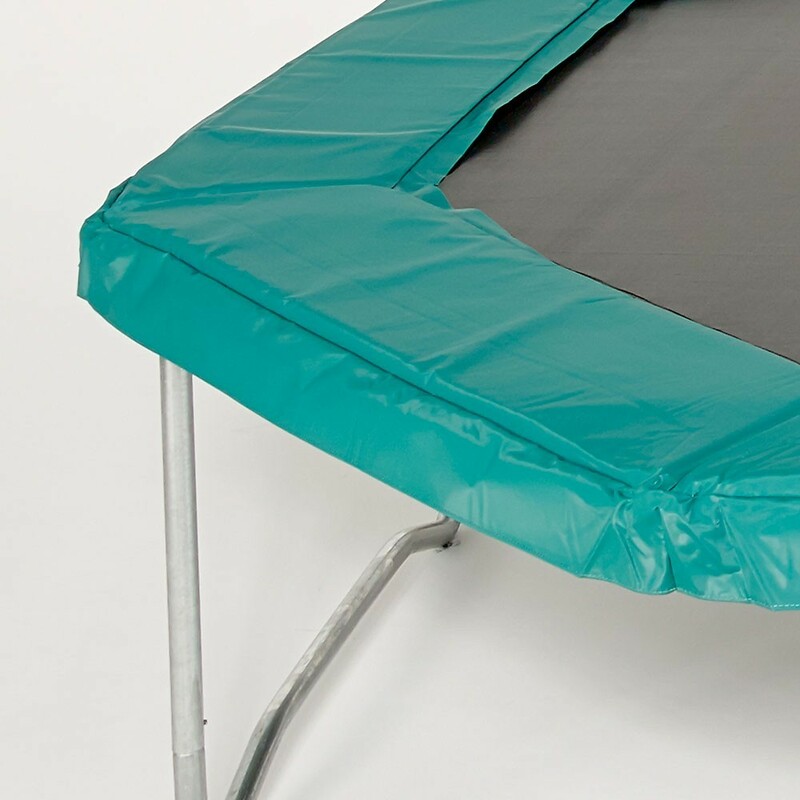 To cut down on the cost of replacement parts, this Waouuh 430 octagonal trampoline, sold without a safety enclosure, provides you with an affordable solution. 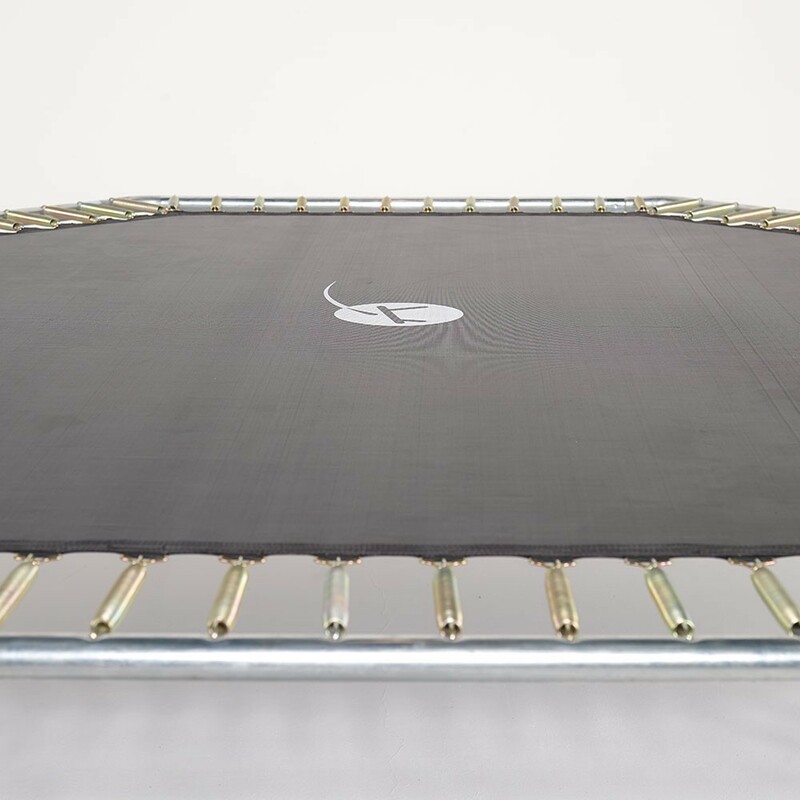 With a diameter of 4.23 m by 3.96 m, this trampoline is the ideal replacement for your 4-legged votre trampoline. 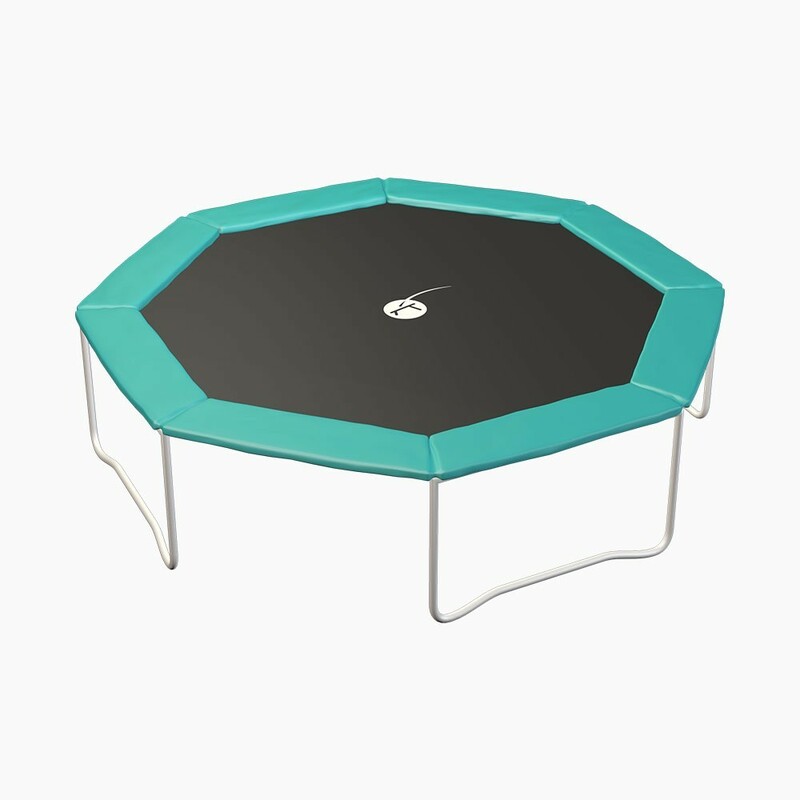 - The 430 octagonal trampoline's frame is made of hot-dipped galvanized steel, and can withstand weights of up to 170 kg. 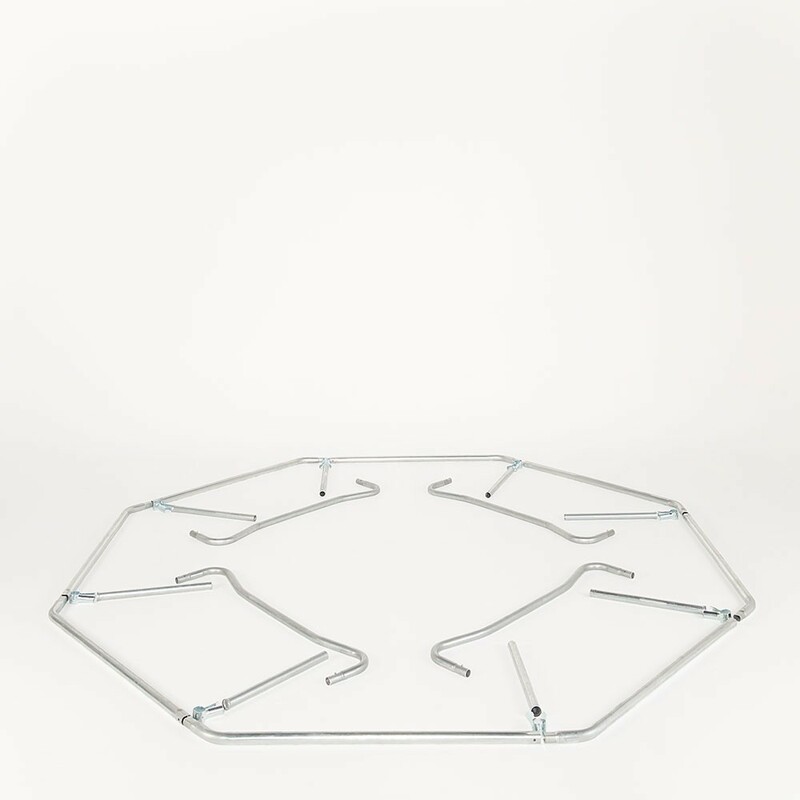 The structure is assembled with T-shaped joining parts for additional resilience and durability. 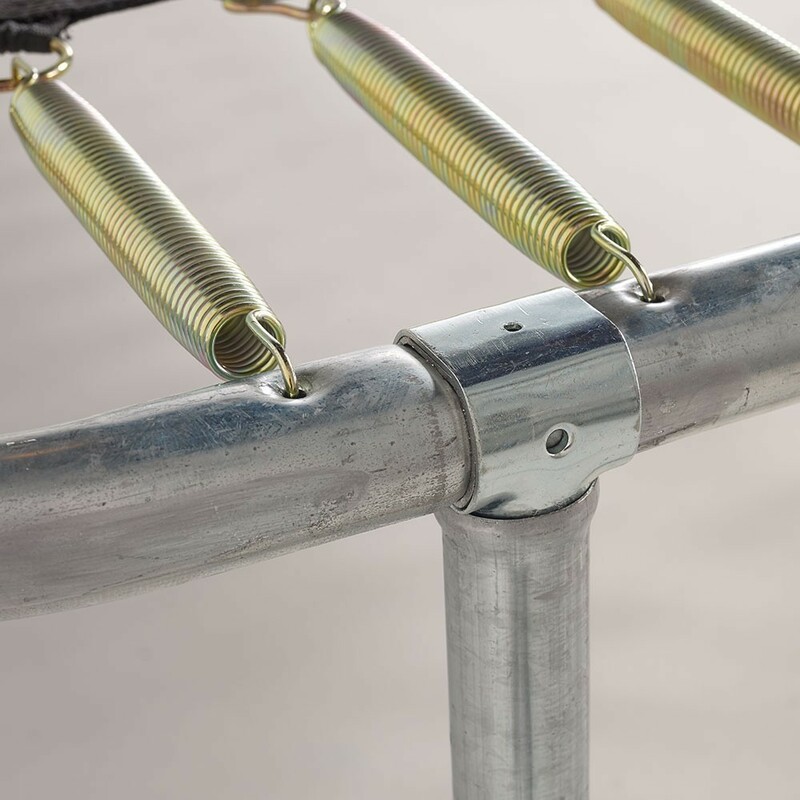 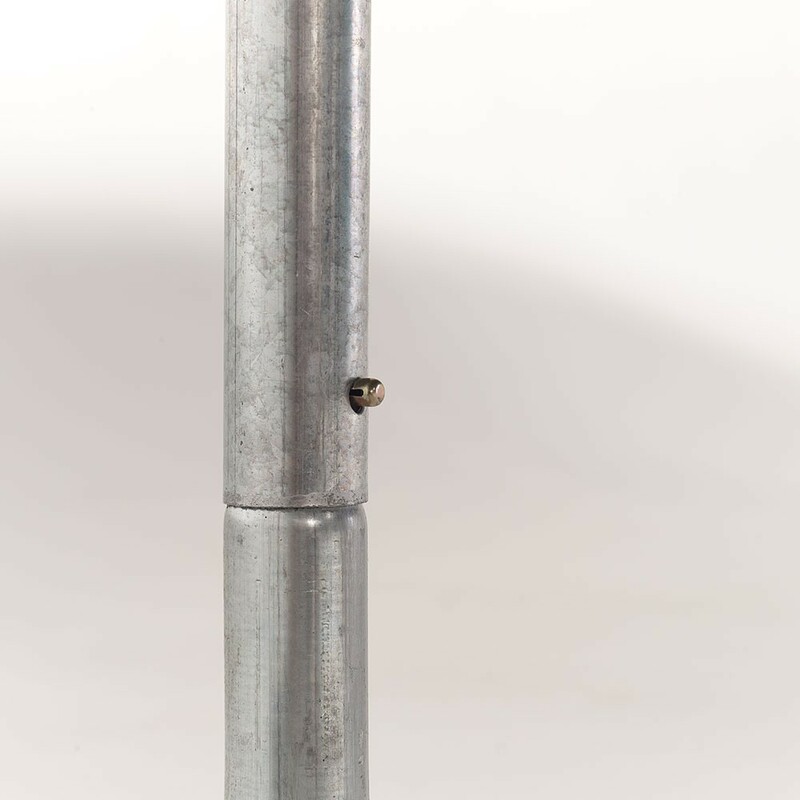 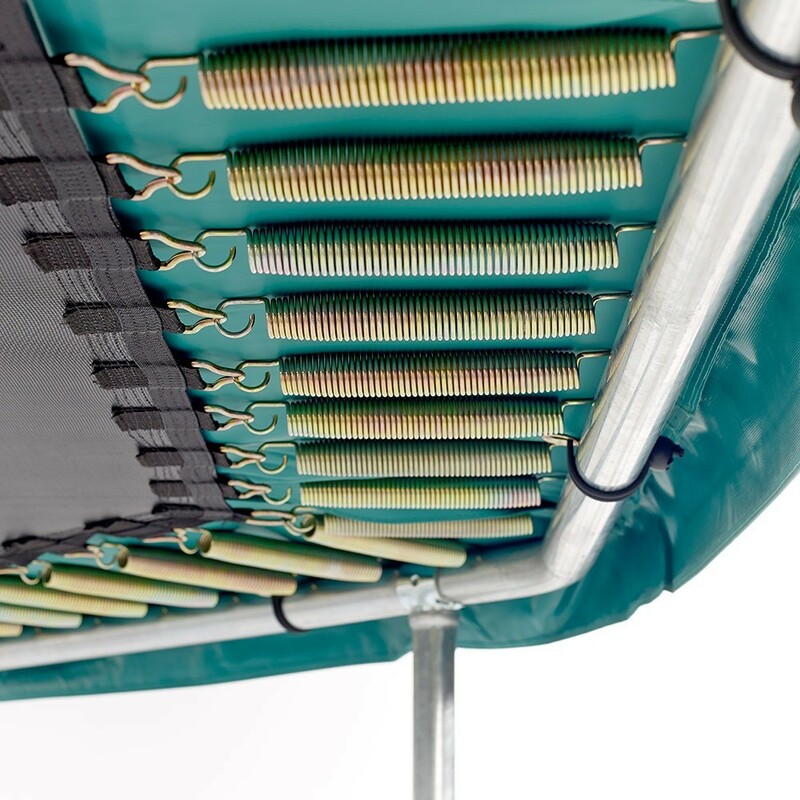 - To provide you with powerful jumps, this outdoor trampoline is equipped with 104, 230-mm anti-corrosion springs. 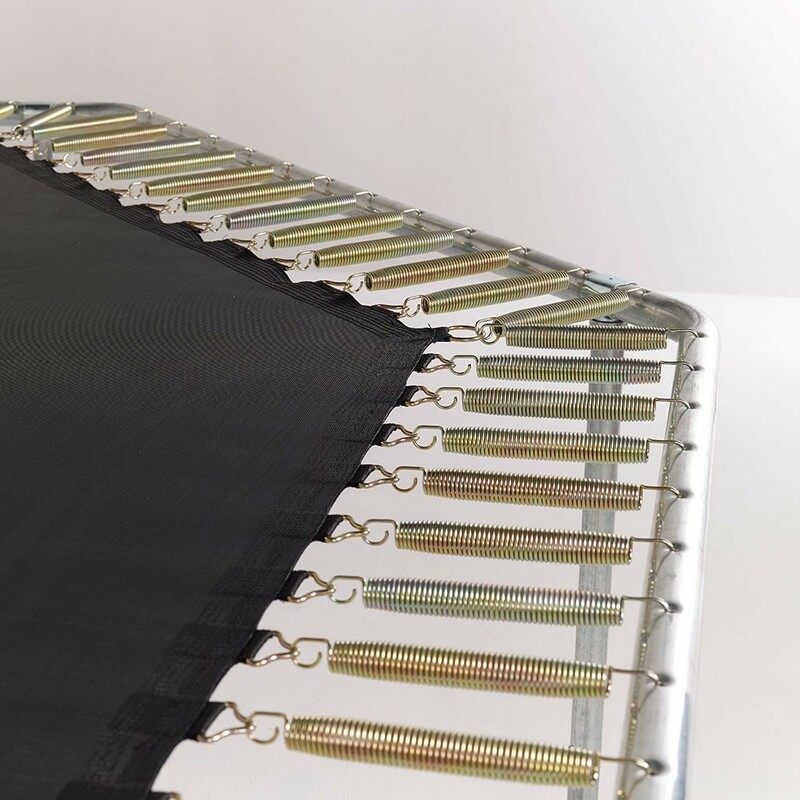 - The trampoline's jumping mat is water- and UV-resistant, and is reinforced with 8 rows of stitches, attesting to its high level of quality and durability. 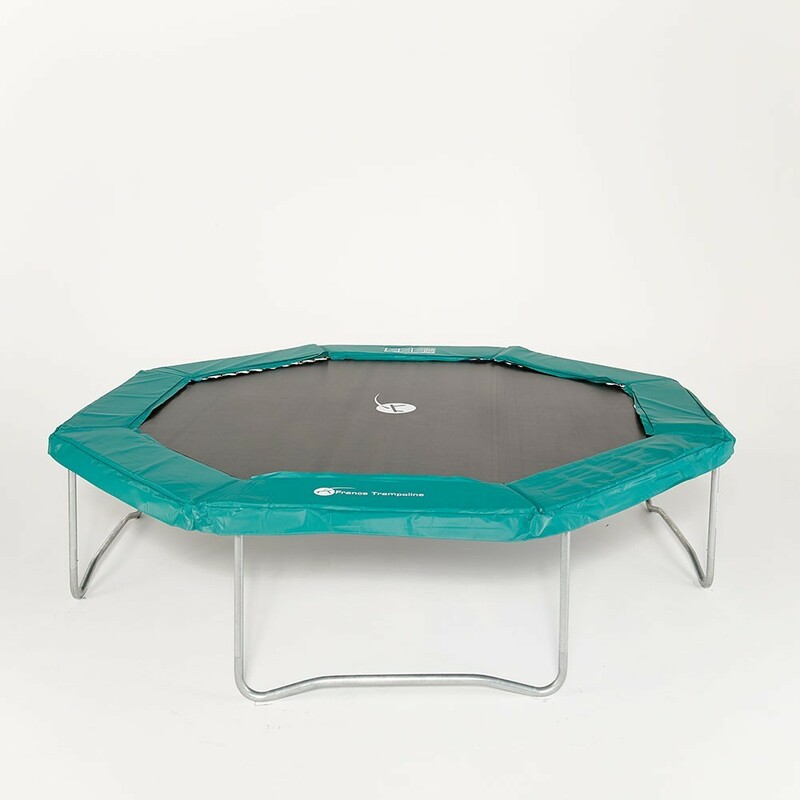 - France Trampoline's outdoor trampolines are all equipped with a safety pad made of thick, compact foam, and covered in a UV-resistant, PVC technical canvas.